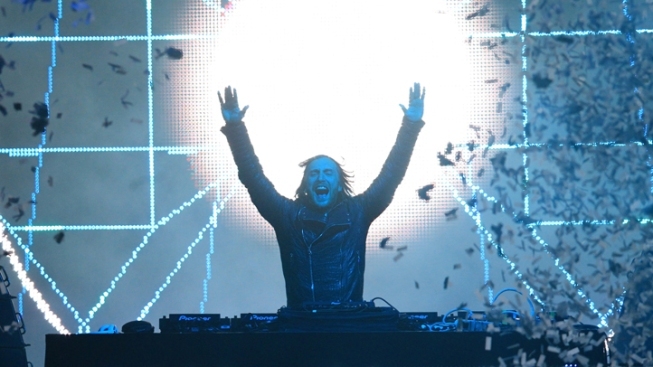 EDM god David Guetta headlines the Grandview Stage at Kaaboo on Friday. The three-day San Diego music, arts, comedy and cuisine festival known as Kaboo kicks off Friday at the Del Mar Thoroughbred Club and Fairgrounds. San Diegans who can sneak out of work early will want to start their day with blues rockers Little Hurricane and the alt-county act Trouble in the Wind, a couple of local San Diego bands, as a warmup before taking in headliners Red Hot Chili Peppers, Weezer, and David Guetta later in the evening. After Little Hurry blow you away, grab a bite from one of the dozens of amazing food options for a festival, head back to the Grandview Stage, where you can feel like an all-star checking out Smash Mouth before a larger-than-life set by DJ Diesel -- known to mere mortals as Shaquille O'Neal -- followed by the rapping pop star Kesha. Three-day passes for the festival are still available ($349), as are two-day options ($249), and you can still pick a single day you want to see songs where the turf meets the surf, for $149. At this point, there are no longer fees for ticket purchase. Be smart, though, and settle on transportation/parking options before you leave hom. For full set times, tickets, and more information, visit KaabooDelMar.com.